There’s no solid evidence that mobile screens’ color temperature is the real culprit to keeping you up at night. 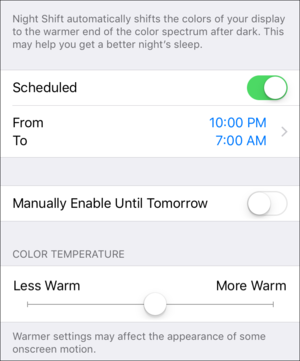 Night Shift lets you schedule a change in color temperature, but it may not be enough to help with sleep patterns. In fact, this feature likely will have little or no effect on most people. Apple hasn’t misrepresented any of the science, but clinical work done to date doesn’t point a finger right at mobile devices or even larger displays. Night Shift also can’t remove enough blue to make a difference if that color is the culprit. And blue light may not be the trigger it’s been identified as. While researchers haven’t tested the new feature yet, several factors add up to at best a placebo effect and a reminder to power yourself down. Apple might have done better to create something called Night Safe, an option that would countdown the moments until you’d be locked out of your hardware till morning except for emergencies or going through a tedious override process—a Do Not Disturb on reverse steroids. Jumping to the chase, if you’re ready to crash: If you want to sleep better, the almost universal suggestion from both sleep and lighting researchers is to turn off any screen two hours before your planned bedtime. Some also recommend using warmer lighting throughout your house in sources you use in the later evening. Why do you feel blue? Our circadian rhythm, a biological cycle, regulates how our body functions and repairs itself, although it’s commonly associated with sleep and wakefulness. It’s roughly 24 hours for human beings, and our bodies use a number of cues to keep us on track. Getting out of sync can contribute to illness, obesity, diabetes, and even an increased risk of cancer. Researchers have conducted studies over decades that isolate people from external cues to see what a natural cycle looks like, and how we sleep and wake. More recently, a lot of clinical and survey work has looked into measuring the effect of lighting: cycles of light and dark, light temperature, brightness, and other factors. Melatonin production starts ramping up about two hours before your body’s natural sleep cycle would start—often described in research as about 10 p.m. in local time. And it’s produced in the largest quantities in the wee hours, wherever in the world you are, right in the middle of what your body perceives as the darkest time of day. If you want to sleep better, the almost universal suggestion from both sleep and lighting researchers is to turn off any screen two hours before your planned bedtime. Since this light receptor type was discovered, scientists have connected in many, many studies not just light and melatonin suppression, but specifically light that’s heavy on blue frequencies. Blue light can ostensibly offset the cycle of hormone production by a couple of hours or more. This has led to speculation that staring at television sets, monitors, and mobile displays disrupts or delays sleep. If you have to get up or are woken up at a fixed time, as for most people, this both reduces sleep and throws off the body’s endocrine and other systems. Daylight has a large proportion of short-wavelength light at the blue end of the spectrum (around 460 nanometers). Indoor lightning has been traditionally “warmer,” or towards the yellow, longer-wavelength end (about 555 nm) or red at the far end (650 nm). That’s true of fire and most incandescent lighting. But a shift in lighting over decades has shifted towards cool, “white,” or “daylight” illumination, whether incandescent, fluorescent, or LED. While thought of as whiter, they actually produce bluer light, resembling more closely our perception of a sunlit day. This description of color gets labeled color temperature, and is measured in kelvins (K). On one end of the spectrum, you have red/yellow candlelight at 1,000K, considered very warm; at the other end, pure blue sky is 10,000K, considered very cool. Most LCD monitors and mobile displays can calibrate against a standard called D65, which centers at 6,500K, fairly blue and fairly cool—it’s described as outdoor daylight at noon. Many displays are tuned or default to a higher temperature, though, and are much bluer. Specific research and reasonable speculation centers around how predominantly blue light from television sets, computer monitors, laptop displays, and mobile screens might be connected with the increase of a host of ailments in nations in which a large percentage of residents use those technologies before and at bedtime. Of special interest is the simple lack of sleep. The CDC estimates 50 to 70 million U.S. adults have disorders that prevent them sleeping sufficient to be alert, productive, and rested on an average day. 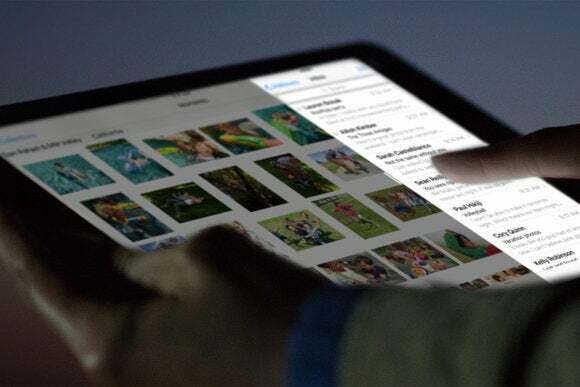 iOS’s Night Shift is just the latest entrant for color-temperature shifting, albeit making it available to roughly 500 million devices via iOS 9.3. Only devices released starting in about 2013 have hardware that supports the feature, according to Apple’s feature notes. But the big problem is that there’s no solid evidence that mobile screens’ color temperature is the real culprit, nor whether devices and monitors can shift enough to matter if they were—or even if blue light on its own is the trigger. While expose to colors of light has been well researched, it’s not entirely clear that merely seeing light heavy in the blue part of the rainbow is the trigger—or at least the sole trigger. It may be that a shift in color in the hours around twilight, which comes with a change from blue to yellow, could be a more significant marker. Blue may be a red herring. It might also be the intensity of light or the proportion of the visual field it occupies. A large, bright screen that’s far away could have as little or the same effect as a small, bright screen close up. Many of the studies until recently used full-room illumination or specifically-tuned light sources (like panels used to treat seasonal affective disorder), and have taken place in highly controlled laboratory environments that block all other light. Because of the cost and complexity of the experiments, the most rigidly constructed ones often involve only a dozen or so individuals who spend several days under observation. 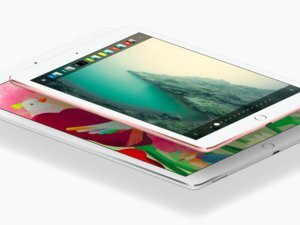 In terms of size and brightness, it’s more likely that an effect on melatonin production would come from adjusting an iPad Pro than an iPhone of any size, due to light and intensity of light produced. Mariana G. Figueiro, a professor at Rensselaer Polytechnic Institute and the program director of its Lighting Research Center, says her group has used precise measurements of light sources and displays to calculate predicted effects and performed clinical testing to test outcomes. Even what’s being displayed matters. Dr. Figueiro says a Facebook page with a white background and mostly text produces more light than the same page viewed with white on black text. 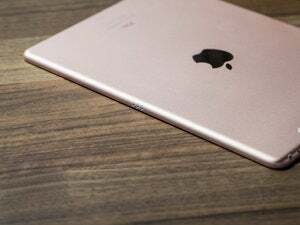 Although she hasn’t tested Night Shift yet, she says that in terms of size and brightness, it’s more likely that an effect on melatonin production would come from adjusting an iPad Pro than an iPhone of any size, due to light and intensity of light produced. But beyond the variation, there’s the degree of blue removal. Ray Soneira, the president of DisplayMate, a company that makes video-diagnostic hardware and software, says that Night Shift and related software doesn’t turn down blue spectra in the correct range enough, thus not providing assistance even if other physiological factors prove true. Via email, Dr. Soneira explains that he feels there’s a paucity of “understanding of displays, light spectra, or human color vision” among many researchers in the field that’s leading to a mismatch in what’s being tested and conclusions reached. As a result, those studies are influencing system design without a firm grounding. But she’s not disregarding color as a factor. Instead of focusing on screens, her group is working on an app that would gather information about your light exposure across a day and make recommendations about the best times to get the right light. With remote-controlled, color-variable bulbs from Hue and others, she suggests a future in which this app could change overall lighting to fit your needs, and, just maybe, have a real impact on your sleep.